When it comes to designing a functional and effective communication or security system for commercial applications, Aiphone is the choice. Whether looking to enhance an existing system or seeking a solution to a problem, Aiphone's extensive range of products and design options will help you achieve your security goals. Aiphone provides commercial security products that are unrivaled in design simplicity, technical excellence, and reliability. 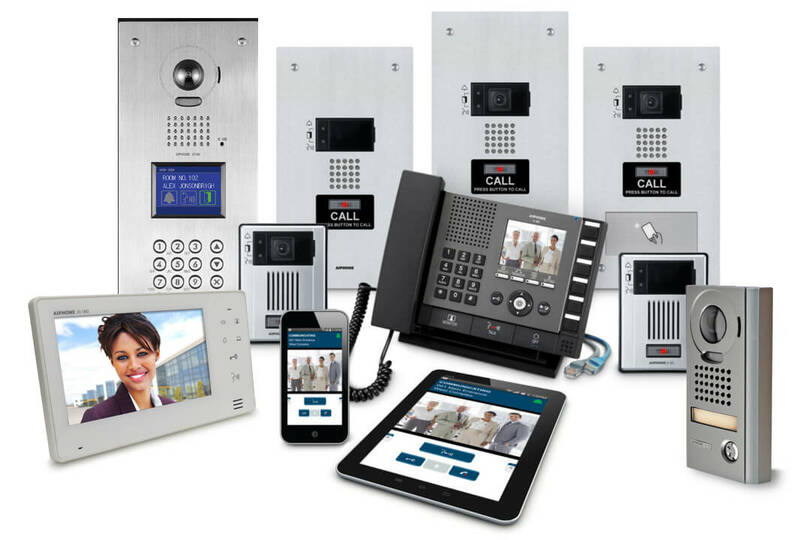 Featuring intercoms with door release, sophisticated video entry security, and complex microprocessor-based systems, Aiphone has over 30 different systems to create the perfect communications application for commercial use. Protect your staff by giving them the advantage to safely confirm the identity of visitors and vendors before granting access. 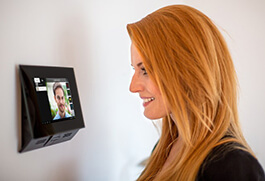 By using Aiphone products with crisp audio and clear, up-close video images, employees can see and hear who is requesting entry. Unlock the door without getting up! Locate and speak with employees in any part of the building. 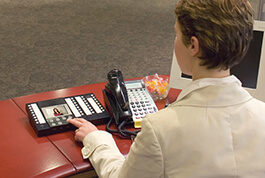 Page individuals or make emergency announcements using overhead paging systems or communicate between rooms with Aiphone intercoms. Connect multiple buildings for instant communication using an IP intercom. Control who enters secured rooms and/or floors of a building. 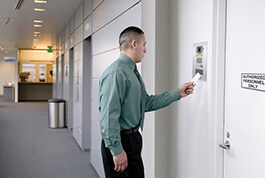 Aiphone intercoms with built-in card access readers and access control keypads give those with proper credentials a convenient way to gain access. Allow entrance to individuals without proper credentials with the simple push of a button. Monitor access points and allow visitors to speak with an attendant by placing video intercoms at stanchions and gate entrances. If an emergency occurs, connect elevators, stairwells, and other remote locations to someone at a security control center or concierge station. Answer calls from remote locations to determine if a visitor is legitimate. With video and voice monitoring intercom systems, employees can see and hear individuals requesting access into exposed loading docks, shipping bays, and delivery areas while avoiding face-to-face confrontations. Securing homes is imperative these days. 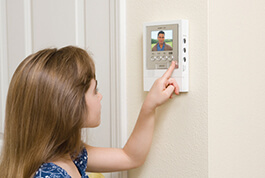 Families want to feel protected in their home environment without an obtrusive system in place. Residential applications range from internal communications within the home to screening visitors before allowing them inside. Stop unknown individuals from getting inside multi-tenant buildings. Residents can verify callers and release the door for admittance. Aiphone also provides an elevator control for guests to access only the floor of the tenant they are visiting. Ideal for small and large-scale complexes with mulitple units. Keep families safe from unwanted visitors without having to meet them at the door. 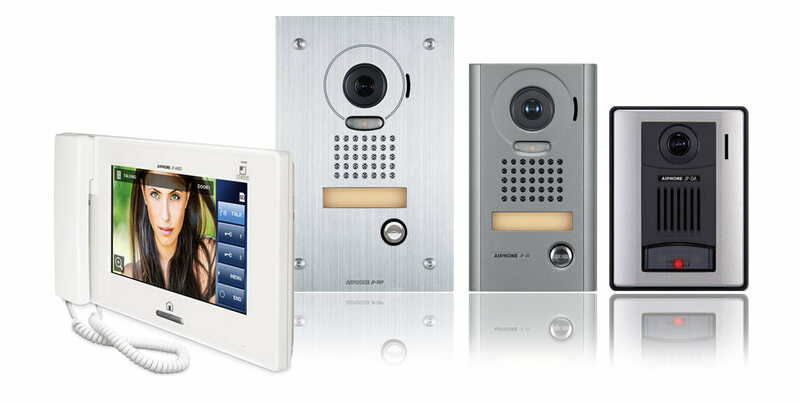 Using video entry intercoms to replace a doorbell allow users to see and speak with people before letting them inside. If the family is away, missing a visitor is no longer an issue using a system with automatic recording capabilities. Screen callers at a concierge station. 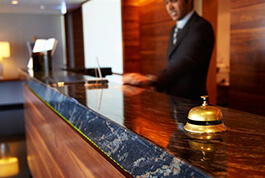 A concierge can verify a visitor, call a tenant, and/or refuse entry to an undesirable person. 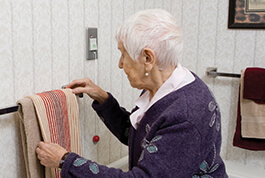 Concierge screening is an additional layer of security, keeping the public from accessing tenant homes. 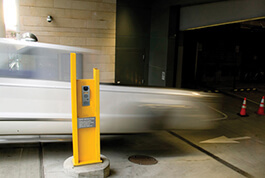 Integrate with both existing CCTV and access control systems for a fully protected building. Relay a message or locate family members in an instant. With interior stations placed throughout a house, residents no longer have to wander from room to room trying to find one another. Units can be placed in every room of the home and garage for maximum communication points. Call for help to a nurse station in an assisted living establishment. If someone feels they are in danger or get hurt and cannot help themselves, Aiphone provides emergency pullcord call stations as well as instant communication capabilities to ensure residents have direct and constant access to help.